Fortunately, they also make awesome products. 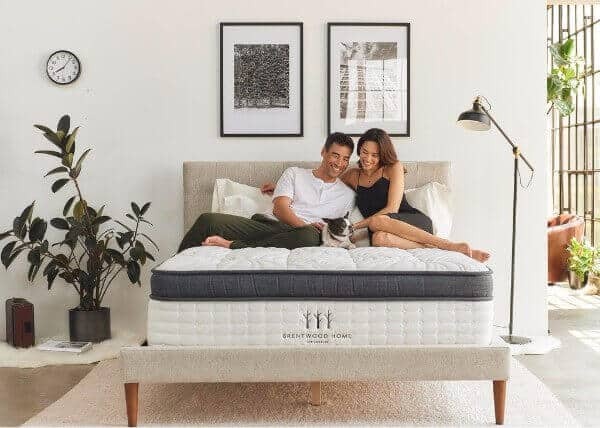 In this review, we will be looking at a Brentwood Home’s signature mattress. This article will provide you with all the information you need to determine if this the type of mattress that you’re looking for. Make sure to have a good idea of the type of mattress you want prior to beginning your research – being honest with yourself about your preferences is the best way to ensure that you make the right decision. Should I Buy a Brentwood Home Mattress? As mentioned previously, Brentwood Home tries to use as many natural products as possible when building their mattresses. The mattress is made using three separate layers. Materials used include bamboo, wool, memory foam, and support foam. 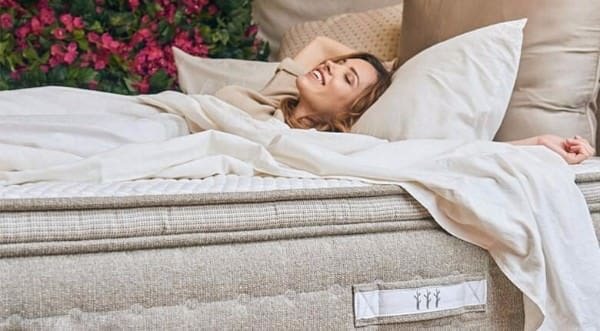 While not all the materials used by the company are natural, they use a lot more natural items than most mattress manufacturers in operation at the moment. We will explore each of these layers and how they are constructed in further detail below. Top – This layer is made from gel memory foam. This type of foam has all the benefits of memory foam, but also retains less heat. It is 3.5” thick in total. This one of the thickest top layers you’ll find in the foam mattress market. Middle – This layer is 2” thick – it is made from a ventilated support foam. 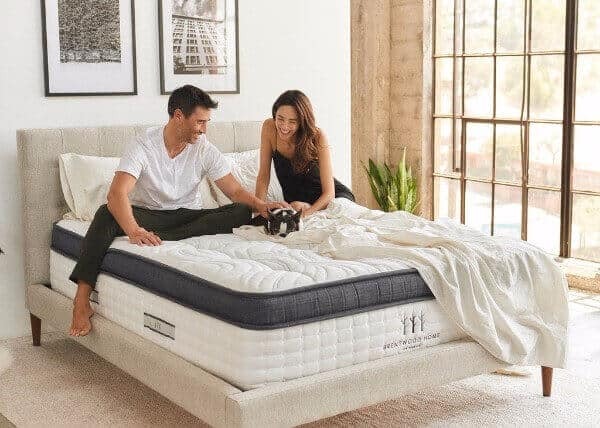 The foam does well to provide support to the top layer, but employs ventilation properties to help dissipate heat and allow for a cool and breathable mattress. Bottom – This is the thickest of the layers in the mattress. It is the bottom layer that provides the foundation for the rest of the mattress. This layer is 7.5” thick and is made from high-density foam. This is the firmest component of the mattress. As you can see, there are a diverse range of foams used to build the mattress. The total thickness of the mattress is 13” – this makes it one of the thickest mattresses on the market. Most foam mattresses have about 10.5” in total thickness. The cover is where some of the truly unique materials come into play with the Brentwood Home mattress. People often undervalue the importance of the cover of a mattress. Oftentimes a mattress cover can make or break the mattress – it has the power to ruin the feel and functionality of the mattress if it is not designed correctly. Fortunately, Brentwood Home hits the nail right on the head. They have constructed their mattresses cover out of a mix of polyester and bamboo – if it sounds different, that’s because it is. They’re one of the only mattress providers in the nation that use this type of cover. They’ve also managed to infuse a small bit of wool into the quilting of the mattress cover – this has provided some additional comfort and support to the general mattress structure. The external design of the mattress cover is extremely minimalist. The entire cover is white and maintains the same consistency on the top as it does on the sides. Some mattress owners are critical of this as it does not provide extra edge support on the sides. A mattress company can use all the unique materials they want to build their mattresses, but when it comes down to it what consumers care about is comfort and support. Like most memory foam mattresses, the Brentwood Home mattress is extremely comfortable. It provides a great deal of contour around your body. After you get up from lying on it, you will see a rough shape of your body outlined on the bed. If you’re looking for mattress that has a similar feel to the Tempurpedic Cloud, the Brentwood Home mattress is fairly similar. In addition, the mattress has a lot more breathability than a traditional memory foam mattress. This is because the gel-infused memory foam that has been used to create the mattress is much better for dissipating heat than normal memory foam. If you’re someone who often gets too hot when they sleep, you’re much better off with a memory foam mattress like this than with a traditional one. In terms of support, we ran a number of tests on the mattress to determine what type of support it provides those who sleep on it. We’ve come to the conclusion that the mattress is about a 5.5/10 in terms of support. This is a great level of support if you’re someone who wants a comfortable mattress that doesn’t have too much sinkage. Because it is a rather mid-level support rating, we suggest those who weigh above 230 pounds should not purchase this mattress. You won’t be able to get the comfortable sleep you’re looking for if you don’t get a supportive of enough mattress. As with many memory foam mattresses, the motion transfer on the mattress is extremely minimal. This means that when you move on one side of the mattress it won’t impact the other side. If you happen to have a partner who moves regularly throughout the night, this can be an awesome mattress to purchase. You won’t be woken in the middle of the night by movement on the other side of the bed. The only downside of the mattress seems to be edge support. Because there is no additional support on the edges of the mattress cover, it feels as if the edges are easy to roll off of. Although it isn’t terrible, the mattress could definitely use a bit more support around the sides. If you’re in the market for a foam mattress, you’re probably already fully aware of how important sinkage is. Sinkage is how far the mattress sinks when you lie on it. This is one of the most popular benefits of owning a memory foam mattress. Back – If you lie on your back, you will see about 1.5-2” of sinkage. Side – If you lie on your side in the middle of the mattress, you will see about 1.5-2” of sinkage as well. Sitting on Edge (soft) – If you sit on the bed without your full body weight, you’ll see about 3-3.5” of sinkage. The person that was used to conduct these tests was 145 pounds – if you weigh more or less than this, then your results will end up varying. 25-year warranty – which is one of the longest in the industry – the first ten years require no payment for repair, while the last fifteen have prorated payments for repairs. 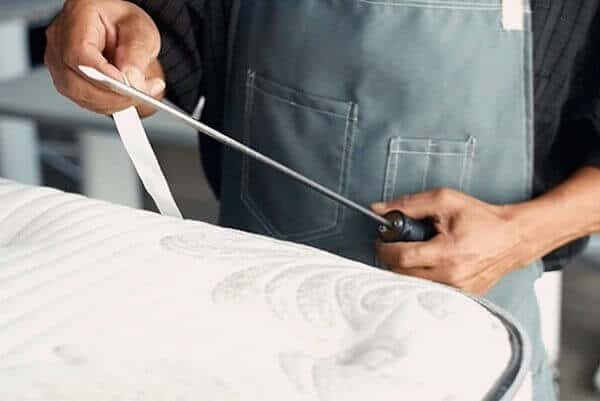 If you’re interested in purchasing a memory foam mattress, a Brentwood Home mattress is one of the best and most affordable options available to you. This is one of the cheapest ways to enter the high-end memory foam market. Their prices are only a small fraction of the cost of many of the larger, more well-established memory foam mattress companies. And in comparison to the newcomers, the mattress is still a considerable bargain. There is only one support setting available with this mattress, so you’ll need to be of an appropriate weight take advantage of it. If you weigh too much, this won’t be the right mattress for you. Fortunately, if you are underweight this mattress will suit you well. It provides a great deal of hug around your body no matter how light you are. This has a lot of the traditional traits that top-end memory foam mattresses offer. The great thing is that it does a much better job of dissipating heat than what many of the traditional memory foam mattresses can do. So, this is also a very appropriate choice for someone who often overheats when they’re trying to sleep. As always, no mattress is for everyone. If you don’t think this is the type of mattress you’re looking for, there are plenty of other affordable choices on the market. 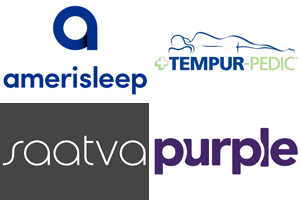 We have a large database of different mattress reviews and comparisons on our website. There are a range of different mattress types and price points available to explore.